“Herewith I mom of Keanu Dean (Marescia) would like to share with you a testimonial of my journey and success between my son Keanu and Neurofeedback (Mitzi and Tracey). Keanu initially went to see Mitzi in 2003 when he was 3 yrs old. 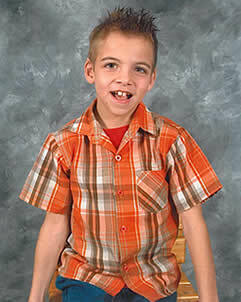 Keanu is a near drowning child with cerebral palsy. Keanu could not speak at all when we initially went to Mitzi. After 20 Neorofeedback sessions Keanu could string 3 words in a sentence. We have had endless success with Neorofeedback sessions in the form of better speech, balance, concentration, literacy and numeracy. We can still see a clear difference when Keanu attends his weekly sessions. Within 15 minutes into the session you can see his speech improve and after his session we can clearly see a difference in concentration and mathematical skills. We recently completed 30 sessions of the Tomatis therapy with remarkable results. Keanu has been able to do ablutions for the first time in his 11 years of life. He has never been able to feel the need to urinate or pass a bowel movement. His balance has improved so much that he has increased his walking (with aid) time from about 10 minutes to about 40 minutes. His stability is just unbelievable. His fine motor skills in terms of writing/computer; especially his speed; has improved and his speech is clearer and reading has improved. His confidence has experienced a great boost since we have done the Tomatis treatments. Through the qEEG testing we were able to pinpoint exactly where Keanus problems lie and what his capabilities are and this in turn has helped me in understanding his weaknesses and assist me with his school work and just help him understand and accept himself.